Design Wall Monday - Skorca! I see a light at the end of the Skorca! tunnel! Including the side that doesn't fit on the design wall, I have 24 more blue sections to piece. I'm about halfway through piecing the elements for that. And then 22 red squares. Check out more design walls at Patchwork Times! 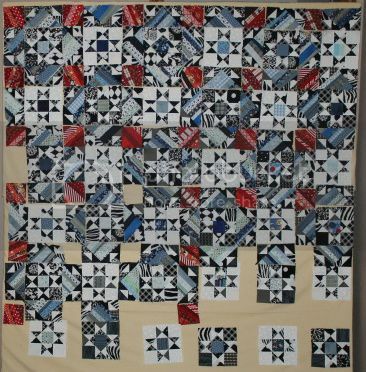 And check out Jaybird Quilts' new Scrap Sunday!